Our way of saying: Welcome to Paradise! Have you ever hoped to have that perfect vacation of a lifetime? If so, what would you say would be the key to making that trip so memorable? Time and time again, travelers will agree that highly personalized and friendly customer service is the key to a dream vacation. We all want to be made to feel special. At Last Key Realty, that is our mission statement. 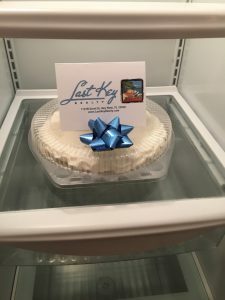 Last Key Realty is unique in the world of vacation home management. We maintain the highest level of staffing for guest services of any management company in Key West: Each of our Guest Services Coordinators is limited to managing no more than 20 homes. 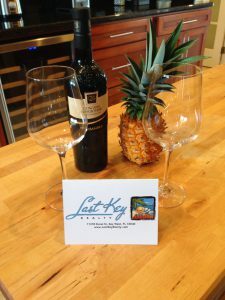 Their top priority is to make each and every guest always feel welcome, relaxed and comfortable in their new home away from home in beautiful Key West! A very important duty of each GSC is to get to know our guests as best we can before they arrive. With valuable information gleaned through emails and phone calls we can then provide a personalized and unique welcome gift for each arriving guest. 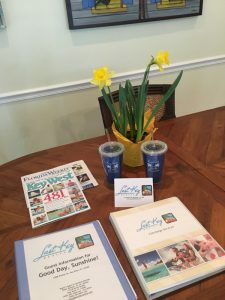 Info and tid-bits such as “It’s our anniversary!” or “Can’t wait to soak up some Vitamin Sea!” or “Celebrating a 50th Birthday!” are used as clues for finding the perfect gift that’s waiting for each guest upon arrival. 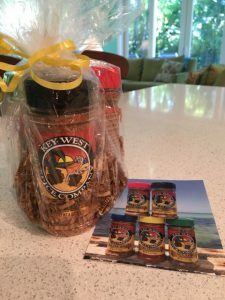 As part of our recently implemented a Welcome Gift program, we’ve teamed up with local businesses to offer unique and exciting goodies such as fresh cut tropical flowers, Key West inspired cooking spices, and exclusive offers on spa services and boutique shopping. 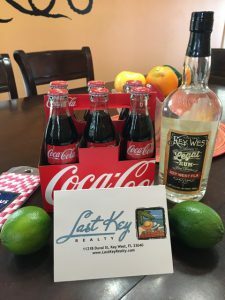 Champagne on ice, a key lime pie, party hats and balloons for celebrating or maybe a beach bag stocked with sunscreen, koozies and other beach day necessities are just a few more examples of how Last Key Realty tailors the dream vacation for each and every one of our guests. 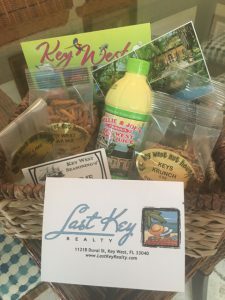 Experience a Last Key Vacation Rental for yourself by booking your Key West Vacation directly through our website, or send an inquiry email to rentals@lastkeyrealty.com. And let us welcome you to Paradise in a way that only we can.